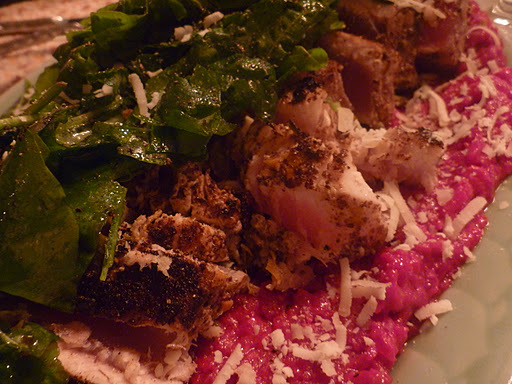 Last week I posted a video recipe for Beet Risotto and sumac marinated fish. It seemed colorful and unusual so I posted it and thought I’d try making it. First off the recipe as published is different then the one he makes in the video. Not a big deal, but still…I went to the fish monger at the monger and get what was fresh caught that day that was meaty: Albacore Tuna. It probably was a bit thick for this marinate but 6 hot green chilies (I used Jalapeno) and the peel of 3 oranges not to mention the Sumac seemed like it would make a nice spicy citrusy crust. It didn’t. I found the Risotto bland (and kind of garish) and the fish in need of saucing. I was surprised how lacking in spice it was considering all the chilies. Now it was my first time making it and I will give you that the risotto could have been saucier, a little more al dente and probably better with a sharper cheese (I used Pecorino) but the whole exercise made me wonder what I had done wrong…I’m even more curious to taste the dish as made to see what flavor there was that they found so appealing and that I’m just not getting. Still experimenting is always encouraged, even if sometimes it doesn’t work out. 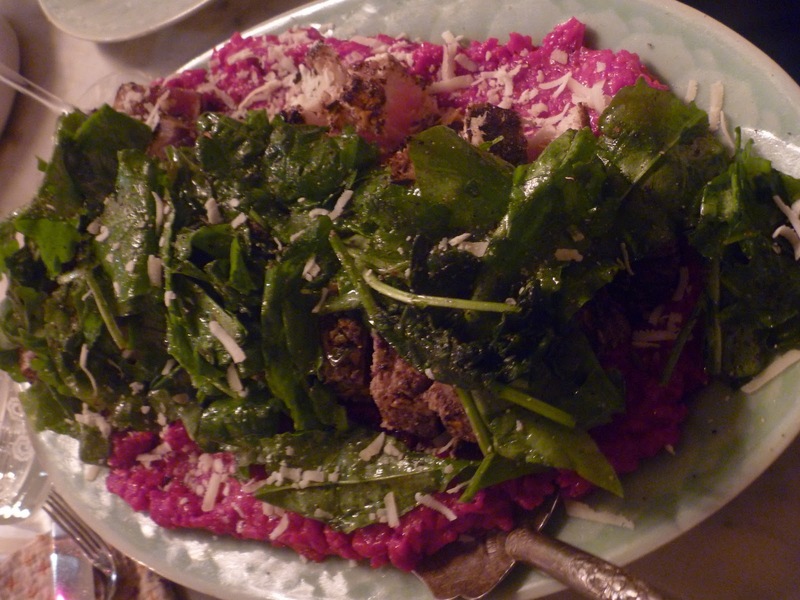 This entry was posted in Other Stuff, Recipes and tagged Beet Risotto. Bookmark the permalink.